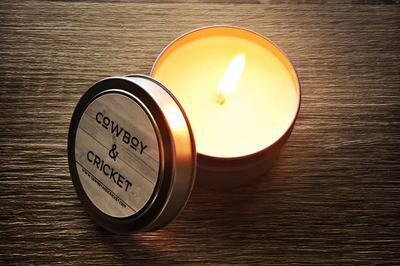 Enter your email address below to receive a notification when Cowboy & Cricket Candle Co starts accepting new sign-ups! 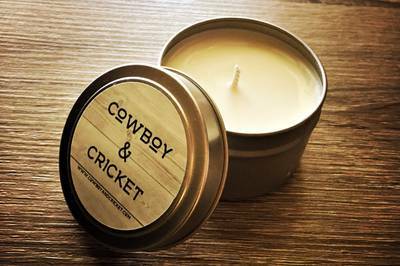 Enter your email address below to receive a notification when Cowboy & Cricket Candle Co is accepting new sign-ups again. We ship the first Monday of every month. 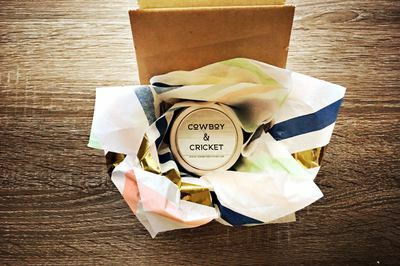 Handmade unique scented wax products, delivered. Just received the October scent "Hades." Slightly spicy with a heady perfume. It's lovely and rich and I'm trying to make it last as long as possible to really fill my favorite month. 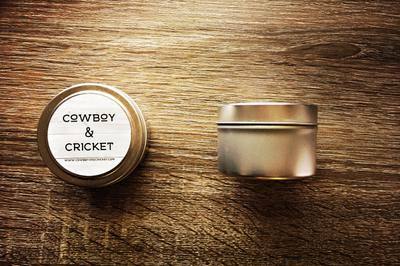 The tin and packaging are both simple but very cute and effective, and you can tell it's a small-batch product made with love. I'm really looking forward to what other monthly scents I get as we get further and further into candle season! I received the Upside Down Blackberry Amber Noir candle today. 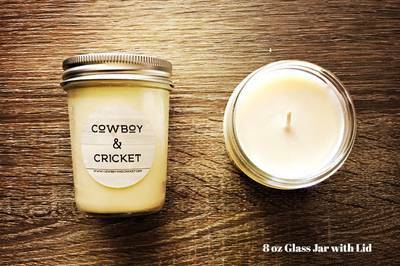 Compared to the other candles I've received from small batch hand poured candle makers I was highly disappointed. This candle wasn't distinct but had something off about it. I can't describe the smell. The blackberry wasn't prominent and the amber was dreary. Needless to say, it wasn't my fav. 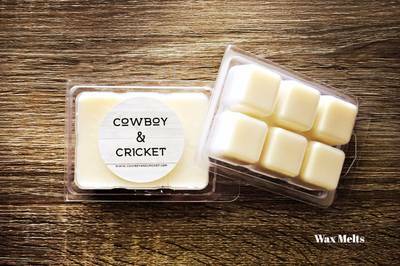 Any day that my monthly wax melts from Cowboy and Cricket show up it is a Good Day. Every scent so far has been flat out wonderful!